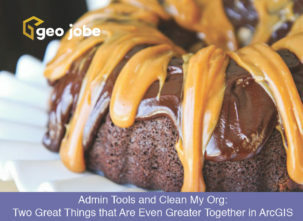 Here at GEO Jobe we not only use ArcGIS for project work and custom services for clients, we also build on the ArcGIS platform (think Admin Tools and GEOPowered Cloud). In order to build apps and make them widely available via the ArcGIS Marketplace we’ve been a long time Esri Business partner. An added benefit of the partner ecosystem is getting a chance to meet and work with other partner companies. We’ve worked with several Esri partners and Esri small business partners in the past, helping them to get to market and reach ArcGIS users with their solutions. Here we discuss our work with Mapillary to help with their ArcGIS integration. In 2015 Mapillary joined the Esri small business startup program, and avenue to build on the ArcGIS ecosystem and develop solutions for the ArcGIS user base. 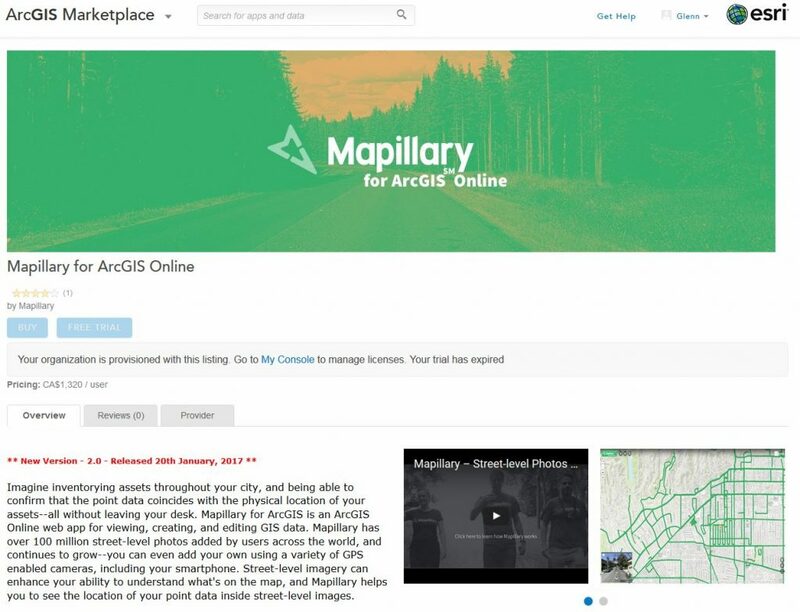 Mapillary has grown in use over the years and is now accessible to hundreds of thousands of user of ArcGIS Online who have access to the application via the ArcGIS Marketplace. Mapillary has been growing steadily in functionality and use, however, there was a need for an integration with ArcGIS Online to enable users to add, edit, and manage features within ArcGIS. Additionally the solution was required to be made available to users via the ArcGIS marketplace. Mapillary required the development of a web application to facilitate feature layer editing by GIS professionals using a technology stack including Mapillary data and Esri’s ArcGIS Online platform. The intended outcome of this development was to be an interface that is familiar and intuitive in workflow to GIS professionals who typically work with the ArcGIS Platform. 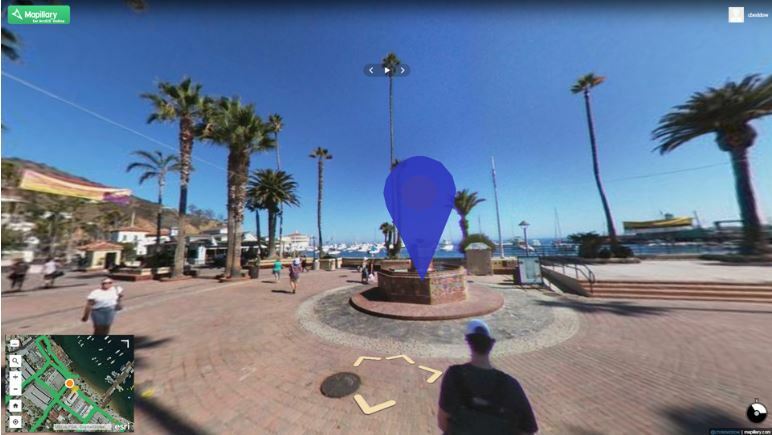 This interface would allow for Mapillary imagery to be used as reference from data management, allow for users to view the location of their map data inside Mapillary street-level imagery, and would also harness the advantages of the ArcGIS Marketplace to allow for trial periods as well as subscription services to the application. The development process resulted in an application that powerfully demonstrated Mapillary’s capabilities in the context of the Esri ArcGIS Online platform. New trials were opening daily once the application was released on the marketplace, generating dialogue between Mapillary and new potential customers. Viewing, editing, and building of GIS point datasets is now possible using Mapillary imagery, including the capability of clicking objects in the imagery to add a corresponding points on the map. 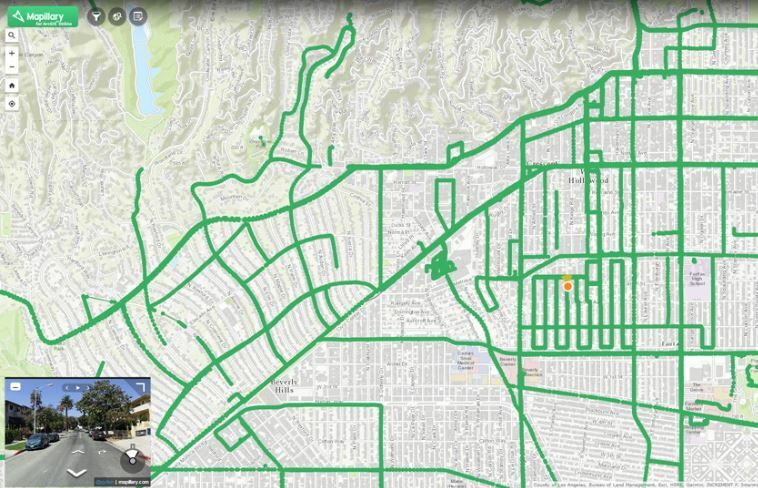 ArcGIS Online users may also view and filter Mapillary imagery coverage across the globe, as well as view a layer indicating the locations of detected traffic signs. Overall the collaboration between GEO Jobe and Mapillary has served to increase interest in Mapillary as well as offer valuable new functions to ArcGIS Online users. 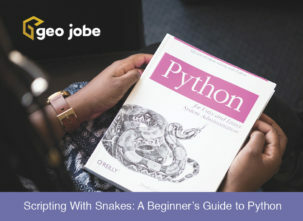 GEO Jobe has worked with Esri business partner companies to provide knowledge and technology to support their path to entry into the Marketplace and their years of experience in this domain made them a natural to consider to support Mapillary in getting accepted into the marketplace. 3 years of participation and perks and more! Partnerships are important to us at GEO Jobe and to our business. The Esri Partner Program ensures that we are on the cutting edge when it comes to technology. In addition to having support from Esri and access to software,resources, and community we are also building our own network, partnering up with other Esri Partner companies. For example, we’ve recently worked on projects with GeoMarvel and Mapillary, bringing our experience and passion for building on the ArcGIS platform (think Admin Tools, Mapfolio, and the geopowered cloud) and helping these companies with their path to market, the ArcGIS Marketplace. Are you a startup looking at developing for the ArcGIS platform and not sure where to begin? Contact us directly to see how we can work together to help you get to market (and in the Marketplace). See also details of the Esri small business startup program. Introduction to the ArcGIS Marketplace – Apps, Content, Opportunity for Geotech Startups! The Esri Partner Network and the ArcGIS Marketplace – Extending the Platform!